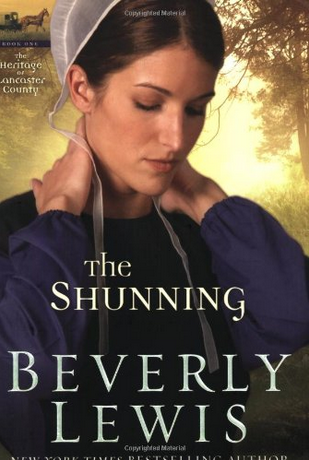 In the movie based on Beverly Lewis’ best-selling romance novel The Shunning, pretty Katie Lapp senses something is missing in her simple Amish life. Then a fancy woman comes to Lancaster County looking for the baby girl she gave up for adoption nearly 20 years earlier. When Katie makes the connection between this woman and her own existence, she takes a bus to explore life beyond the boundaries of her Amish upbringing. I’m not a character in a best-selling novel, but I did venture beyond the limits of my own Mennonite life to explore a different style of life. Unlike Katie, I wasn’t shunned. But, like her, I did take a bus, a Greyhound bus, to move on. Today my story is featured on the blog of Mary Gottschalk, who got out of her own comfort zone by sailing the open seas with her husband in a 13,000 mile adventure she recounts in her memoir Sailing down the Moonbeam. Click here to meet this fascinating author and also read my post on stepping into a new world. Enjoy the post–and meeting a new writer who is about to launch her second book! Sounds like a fascinating film – and your blog post sounds fascinating too. Heading over there now. Thank you. I’m sure writer Mary Gottschalk will appreciate your writing and commenting, Fiona. Are you still in England or have you returned to Sweden? Enjoyed the interview of my favorite author. Thank you too, and I enjoy your quotes, always fresh. Sometime I even snitch some and store them away for future reference. I hope you enjoy the comments on Mary’s website today–very enlightening! Thanks for reading, thanks for our shared interests & your friendship. Marian — Thanks so much for the lovely essay on “Flying the Coop.” It offers a wonderful picture of the courage it takes to step away from our upbringing. It was a privilege to have you as my guest. Thank you, Mary. And I am honored to be featured on your blog today and happy there was a lively conversation. I have a feeling some will make regular visits to your blog now that they have been introduced. Again, thanks! Thanks for reading and posting here and on Mary Gottschalk’s blog as well.